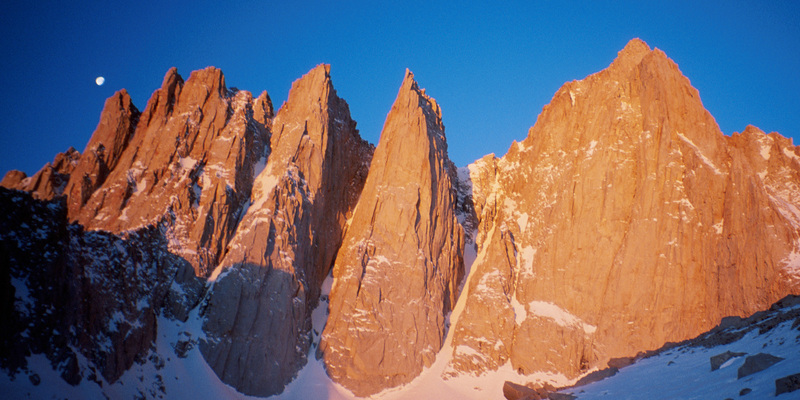 The East Face and East Buttress routes are considered two of the finest alpine rock climbs in the United States. 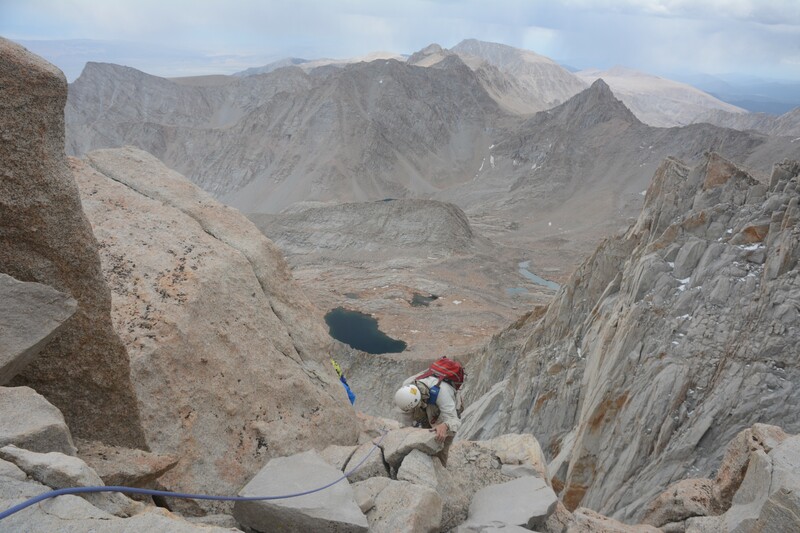 Anybody who has already mastered the basics of hand and foot techniques, knows how to belay, and feels OK at these altitudes can attempt this climb with us. For those new to climbing outside see our instructional programs for more information about learning these skills. 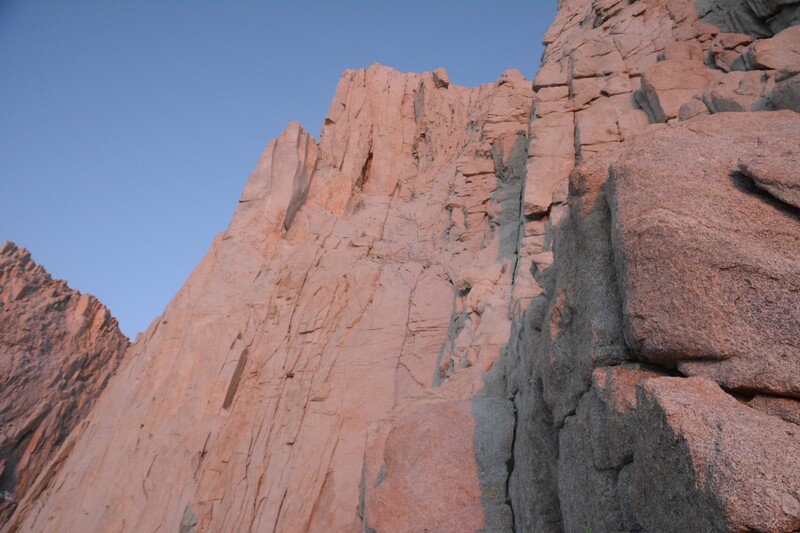 The climbing is on firm white granite and the views are exhilarating. These climbs are best done in the summer and fall months. 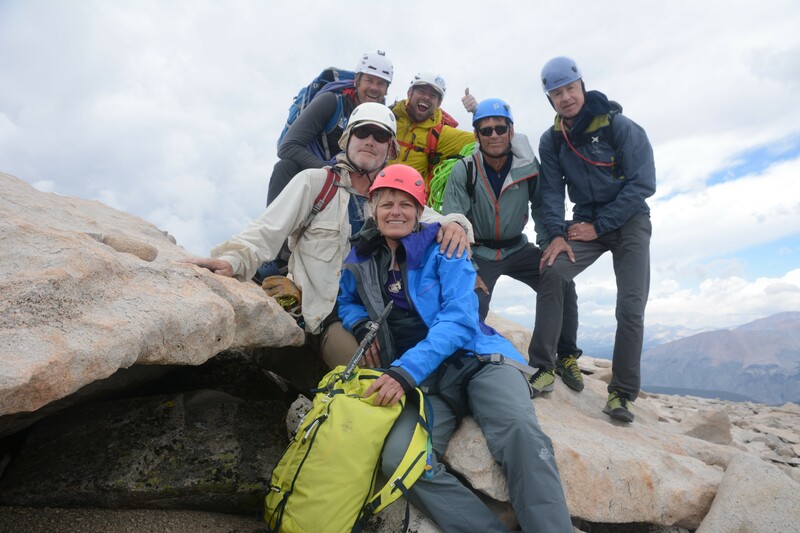 Day 1: The group meets at the nearby town of Lone Pine on the first day of the trip. We park our cars at Whitney Portal at 8,365’/2550m. From here we start on Mt. 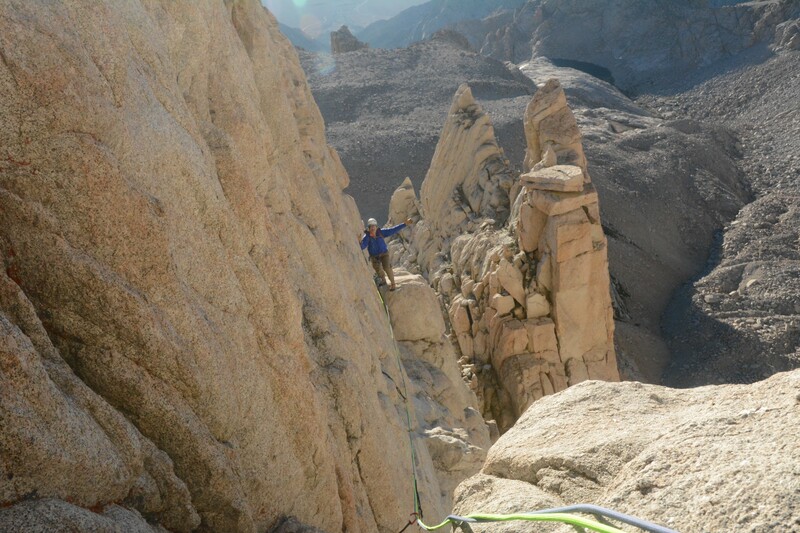 Whitney’s standard trail but soon leave it ascending up the north fork of Lone Pine Creek. 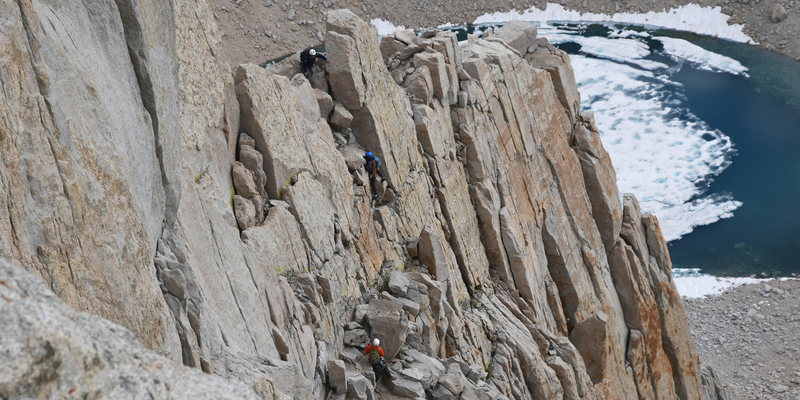 The route takes us through boulder fields, pine trees, lakes, and high alpine meadows. We make our camp at Iceberg Lake at 12,610’/3844m. 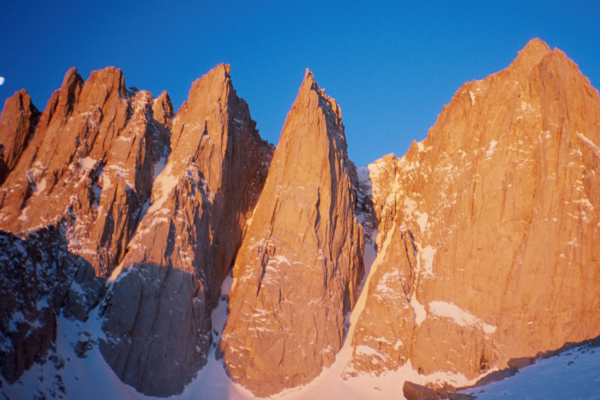 Day 2: We wake before sunrise and ascend to the base of our route over class 2/3 terrain. We will carry light packs with provisions needed for the day including food, water, and some warm clothes. 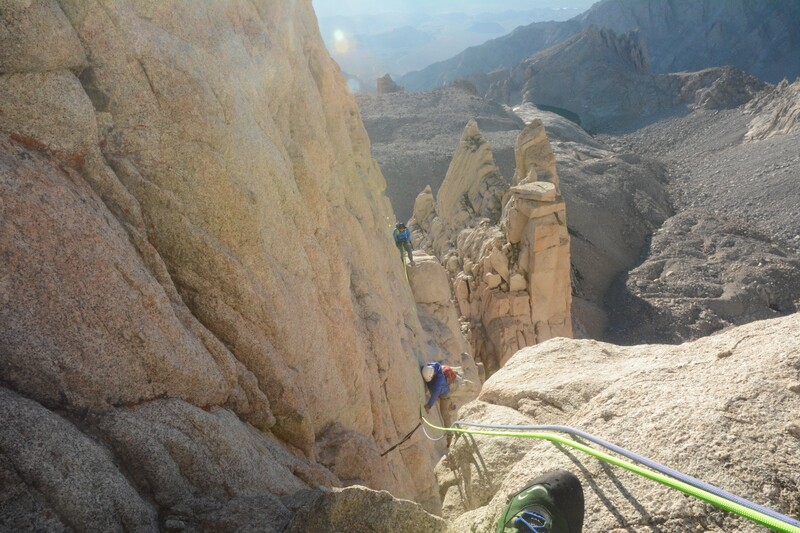 We rope up at the base of the route and stay roped until we reach the summit. 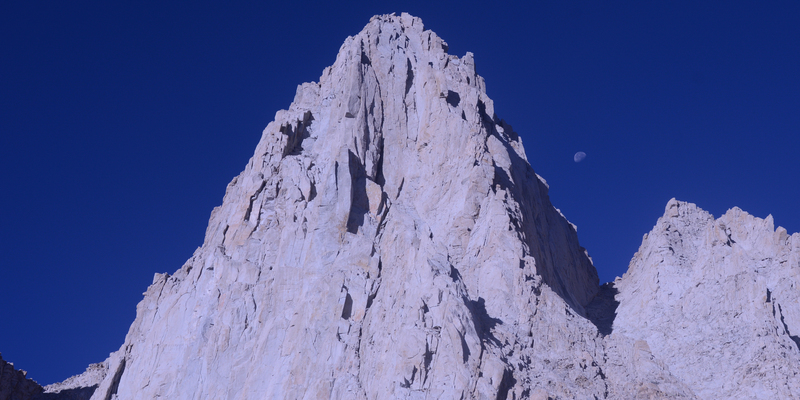 The East Face and East Buttress routes are approximately 10-11 pitches of 5th class climbing. 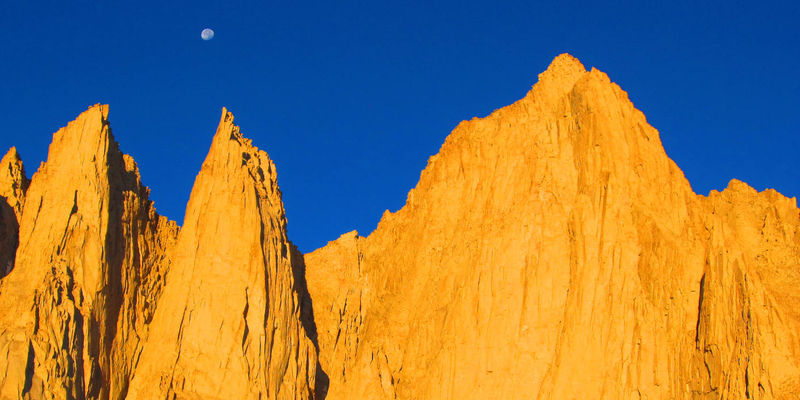 Our descent is via the Mountaineer’s Route, which is a class 3 chute on the mountain’s north side. 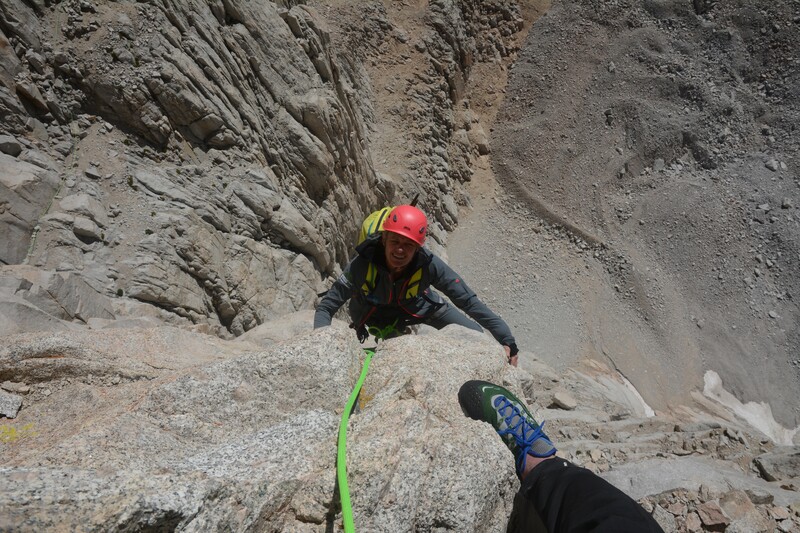 Day 3: is devoted to descending to the parking lot and are usually back at Whitney Portal by lunchtime.